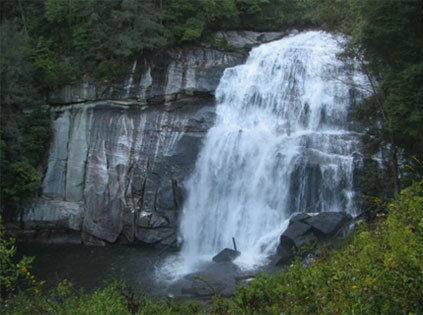 GoCashiers is an online guide to Cashiers, NC and the surrounding area, including Sapphire, Glenville and Lake Toxaway. Whether you'd like to peer from a great mountain, dine over a delicious dish, marvel at a raging waterfall, discover precious antiques or anything in between, there's plenty to do in Cashiers. Sometimes you want to take a trip and see something nearby. Here are some ideas. You'll find there are plenty of spots to go fishing in and around Cashiers. Like to hike? Or just a walk in the woods? Then you're in luck! Some of the best mountain biking in the country is within an hour's drive of Cashiers. 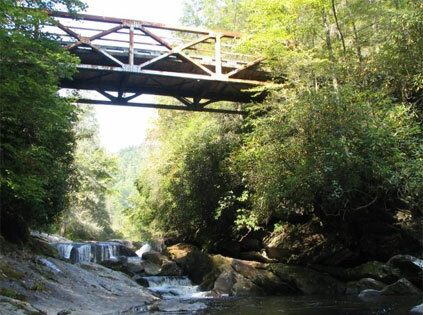 There are many natural swimming holes for cooling off in the summer! 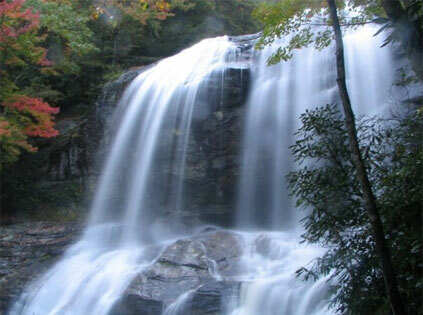 The waterfalls around Cashiers range from breathtaking to peaceful to exciting to mammoth. 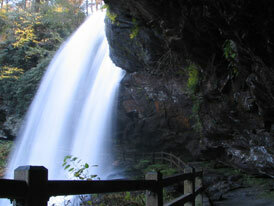 Please note, with the upgrades to Gorges State Park, the trail to Rainbow Falls described below has been rerouted. It is not longer accessible from Hwy. 281. The guide will be updated soon. 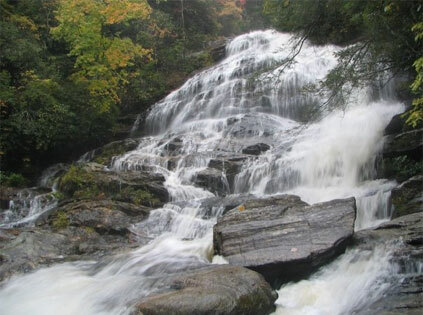 Drift Falls is a huge slide waterfall on the Horsepasture River. While the fall itself is on private property, you can view Drift from below. But do not cross the property boundary, as they are serious about this. From Cashiers, take Hwy. 64 East to Hwy. 281 South. Travel one mile and park in the Gorges State Park lot. Walk back out to the road, and follow the path to the left as it parallels the road and winds into the woods. After approximately one-half mile, the trail meets the river. For Drift Falls, follow the path to the right for another quarter-mile or so until you meet a wooden fence. 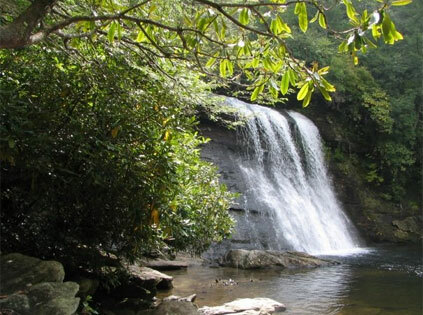 Make your way to the water again and view the falls. Be sure to respect the property boundary. While on the river, be sure to check out the other falls, Turtleback and Rainbow. Windy Falls is way downriver and worth the day-long trip.